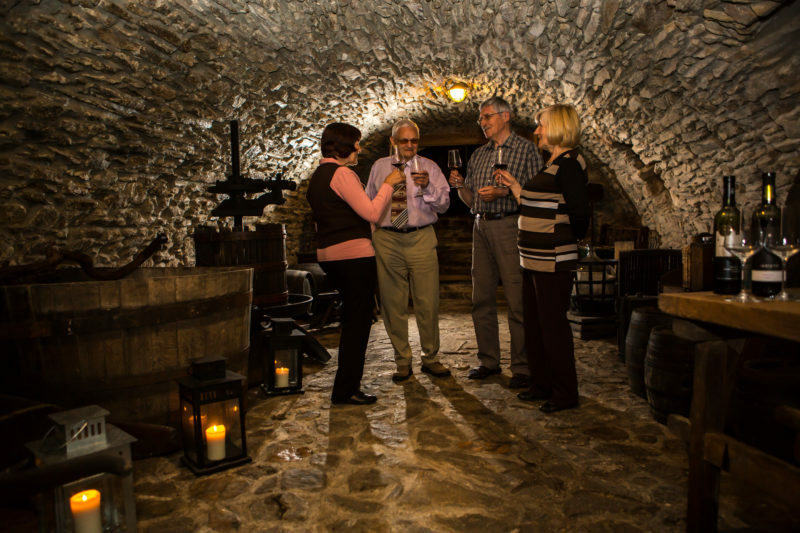 Wine tasting and goose eating are firm traditions in the autumn months in Bratislava. September and October often offers mild weather and the City is filled with lively colours and scents. Seasonal festivals in Bratislava, especially in autumn, offer the city and region an opportunity to commemorate and celebrate. No place has more traditions than Slovakia’s bustling capital city – and are they special! Tradition and festivals go hand in hand especially in Bratislava, where wine and music are particularly worthy of celebrating. Between September and November, the summer crowds have thinned and the weather turns slightly brisk. 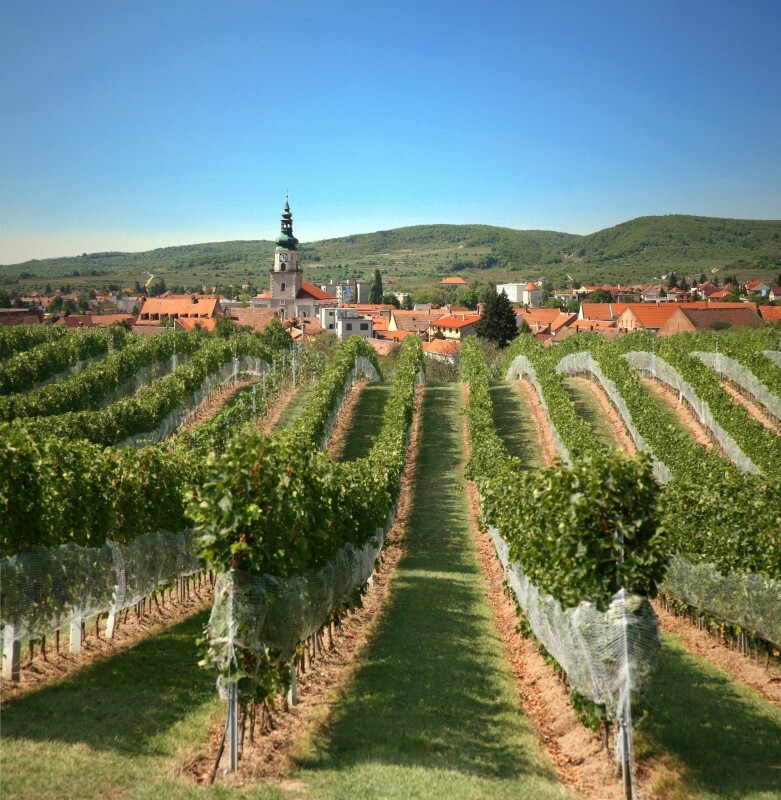 The beginning of the wine harvest in the area just northeast of Bratislava, the Small Carpathians region, provides a good reason for organising a number of local wine festivals. They are perfect for families offering many activities for children, and adults alike. The autumn wine tasting festival season kicks off every September in Rača. 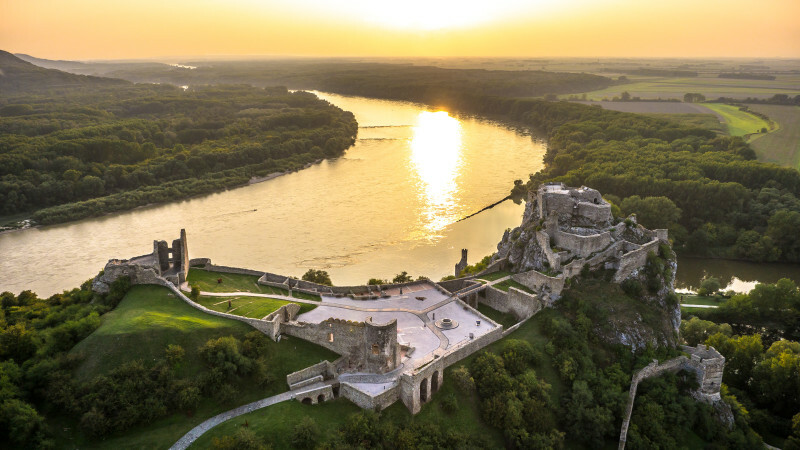 An easy public transport or taxi ride from Bratislava centre, Rača is home of the iconic Frankovka grape, associated with Empress Maria Theresa. Folk dancing and folk music are always big part of this festival as well as rows of stalls selling street food, area crafts and the local “burčiak”. This young wine, just beginning the process of fermentation, is said to “cleanse the blood.” It is said that one should drink as much of it as one has blood in his or her body. Good luck! Annual festivals also celebrate the beginning of the wine harvest is the small vineyard cities strung along the Small Carpathian Mountains including Svätý Jur, Pezinok and Modra. Combine wine tasting with another regional speciality: roasted goose or duck accompanied with red cabbage and ‘lokše’, a dry potato pancake (resembling tortillas), brushed with goose fat. Lokše can also be served as a main dish, filled with goose pate, or a dessert filled with poppy seeds and jam. Those who plan their visit to Bratislava on November 11th, the day of St. Martina, will get a chance to taste the new wine. St. Martin is the patron saint of Bratislava and new wines are traditionally ‘baptised’ in the city on November 11th each year. After this day, the sale of new wine can officially start. Winemakers open their cellars for everyone willing to appreciate tasting wine in the place where it was grown and learn more about its history. Contact the Tourist board to find out more and book in advance. To explore the City from the river, book a boat ride from the city centre, to castle Devín, where the Moravia River joins the Danube. Buy tickets for day trips for this pleasant day trip from the Bratislava’s port, located in the city centre. Once in Devín, explore the ruins of the castle and sample the local speciality drink – the sweet red and black currant wine. Stroll along the Danube and visit the memorial – a sculpture made of rusted barbed wire in the shape of a heart – dedicated to the 400+ men and women who lost their lives attempting to flee to Austria during the communist era. Indian summer is also the time for music lovers. Classical music enthusiasts should book their tickets for the Bratislava Music Festival (Bratislavské hudobné slávnosti) well in advance. This well loved prestigious international event dates back half a century. The festival takes place every September or October. Additionally, September is also a month when the more recent ‘Convergences Festival’ of chamber music, founded by well-known Slovak musician Josef Luptak, takes place. In October, classical music gives way to jazz, as the Bratislava Jazz Days or “Džezáky”, as Bratislavans call the international festival, are held. The festival features the world’s top jazz musicians and groups as well as upcoming stars and takes place over four days and it’s one of the most important European jazz festivals. Do not miss it. It offers something from everyone, whether you love the Big Band, Hot and Cool jazz or new alternatives. In October, you can also visit the international festival of contemporary dances – ‘Bratislava v pohybe’ (Bratislava in movements), where you can see performances by renowned international and local contemporary dancers. On November 17th, as the late-autumn nostalgia sets in, the Slovaks commemorate the Velvet Revolution (known in Slovakia as the ‘Gentle Revolution’). Whilst many things have changed since, it is still possible to have a peek at what life was like in the communist times. A specialised tour agency offers a four-hour-long retro city tour around Bratislava’s communist landmarks. Using an authentic Skoda sedan from the 1970s, you will be taken to the Slavín monument cemetery dedicated to the Soviet soldiers. This monument is a popular spot for the first-date kiss and sits upon one of the highest hills in Bratislava. It offers visitors a great view of the city and especially the Old Town. The tour crosses the SNP bridge (built where the Old Jewish Town used to be) and visits the Petržalka neighbourhood built by the communist governments to house the inflow of new workers from villages during the massive urbanisation of the 1970s. The last stop of the tour is one of the bunkers built in the late 1930s to protect then Czechoslovakia from the Nazi invasion. 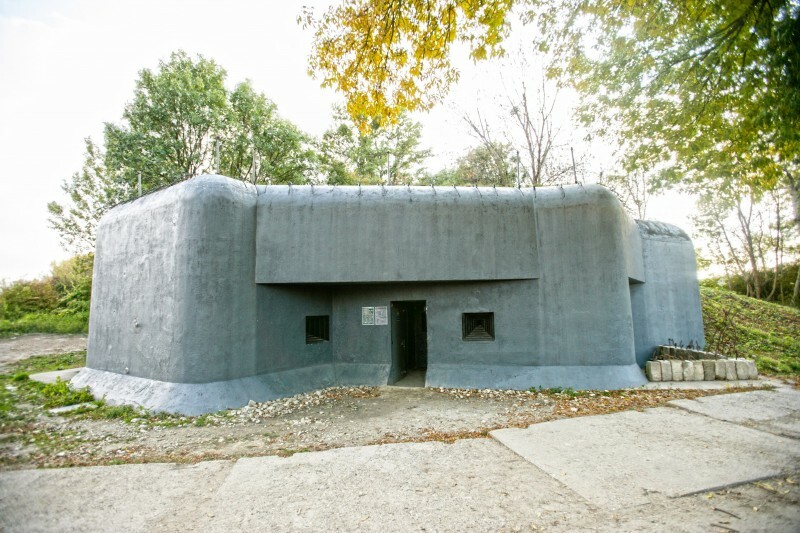 The bunkers were also used as border fortifications during the communist era to prevent people from leaving the country. With winter months approaching, Christmas markets start popping up in the City in late November. Do not leave before you warm up with a glass of mulled wine, a local drinks of ‘hriatô’ (a hot alcoholic drink containing – bacon) or grog (sweet tea with rum).